In fact, quest designers asked themselves at every turn what the stupidest thing a player could do and built missions around that, according to CD Projekt’s Philipp Weber. In an interview with German outlet GameStar (loosely translated through Reddit), the suggestion is you might even be able to stop for an ill-timed burger while protecting an important client. If he dies, the world’s moving on without him. In a related interview, Weber says that Cyberpunk 2077 missions can all be completed in a number of ways depending on your character’s class and abilities, so the outcomes in this game are likely to be much more complex than, say, The Witcher 3. 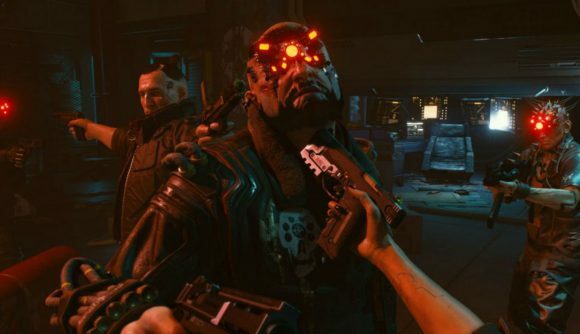 We’re likely to hear much more on Cyberpunk 2077 at E3, and CD Projekt has even given a wink and a nod that they know fans are expecting a release date for the game soon. In the meantime, we’ll continue digging for every last bit of Cyberpunk 2077 info we can find as best we can.